Here’s an example of how Zingtree‘s interactive decision trees are improving agent productivity in a real call center. We recently joined forces with AireBeam to see how our interactive tools could help their navigational flow during customer service inquiries, and the results were remarkable. 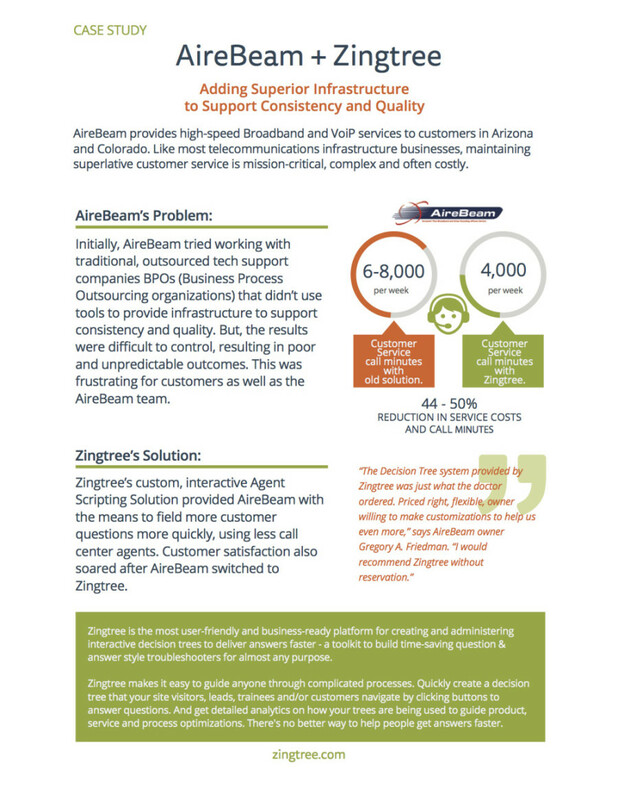 By switching from a traditional outsourced method of customer support to Zingtree’s Agent Scripting Solution, they were able to effectively reduce service costs and call minutes by nearly 50%! The case study is below, and you can also view a PDF here. Want to see more? 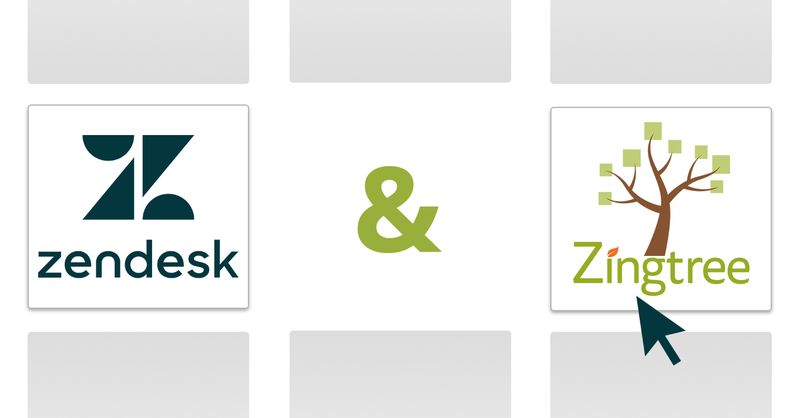 Explore the Zingtree Gallery for examples of how our decision trees and interactive solutions provide value for businesses!